Your Smile Makeover, Dental Implants, All-on-4 and other general dental treatments can be funded. We can assist our patients with finance or access to Early Release Superannuation (ERS). 4- Once approved, we commence treatment! National Dental Plan allows our patients to split $9000 worth of dental treatment into equal fortnightly repayments and best of all, our patients pay no interest ever! The application process is simple and takes only a few minutes. It is completed in clinic in the privacy of our board room. Call our patient coordinator for more information on 1 300 625 625. 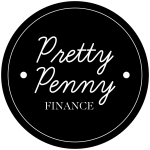 *Pretty Penny Finance takes away the stress of applying for a personal loan with a simple online application, typically approved in a day. This has helped many of our patients fund life changing treatments. There are no early repayment penalties and no early exit fees, so patients can feel in control of their payment plan. Our patient coordinator will be able to assist you through the process. Call us on 1 300 625 625 for more information. At Dental 359 we can help you with access to your superannuation. To be eligible to withdraw some of your super on compassionate grounds, the medical treatment cannot be readily available through the public health system and you the applicant must have acute or chronic pain which can be reversed with proposed treatment. What treatments can qualify of ERS? – You need total oral rehabilitation and complex treatment such as All-on-4 dental implants and denture replacement. The amount of super you can withdraw is limited to what you reasonably need. It is paid and taxed as a normal super lump sum. The application is completed online and does require specific documentation as supporting evidence. Our clinic assists with the collection of these documents and the process of applying. Having helped with the submission and approval of many patients’ applications, we ensure a streamlined process by assisting every step of the way. For more information contact our patient coordinator on 1 300 625 625 or alternatively look up ATO’s ERS access on compassionate grounds.